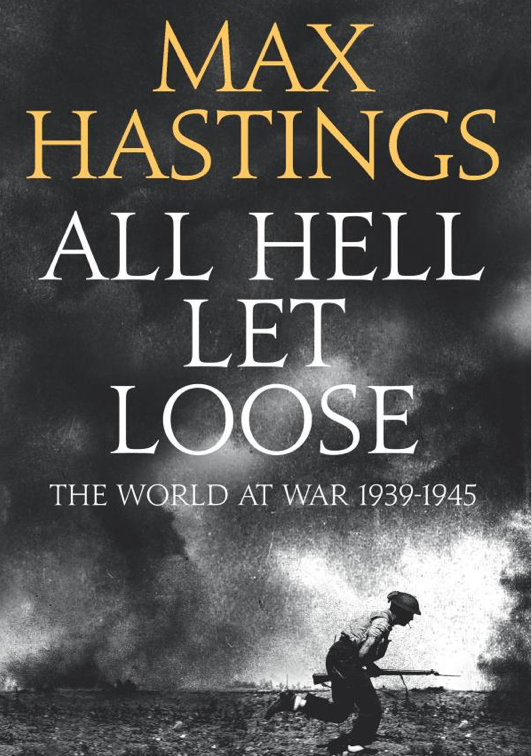 Max Hastings’ new book ‘All Hell Let Loose’ is a one volume history of the Second World War. It is also, for a variety of reasons, a tremendous achievement. Anyone seriously interested in WW2 is already familiar with Hastings’ work. From ‘Bomber Command’ to ‘Overlord: D Day and the Battle for Normandy’, from ‘Armageddon: The Battle for Germany 1944-1945’ to ‘Nemesis: The Battle for Japan, 1944-45′, Hastings has chronicled the conflict with his particular gift for understanding both military strategy and personal experience. But ‘All Hell Let Loose’ is his best book on the war to date – and given his previous track record that really is saying something. It’s an important work in part because of the simplicity of the central question at the core – ‘what was it like to be in this war?’ And in exploring this vital issue Hastings delivers all of the insight into the military experience you might expect from a master of this history. Alongside this moving and eclectic mosaic of testimony, Hastings tells the wider story of the war with all of the penetration and brilliance that his many fans expect. Indeed, the necessity to be concise in this single volume history of the war – to try and explain the entire conflict in one readable book – has brought out some of Hastings best ever historical writing and analysis. Always sympathetic, always understanding, yet never sentimental, Hastings has written a monumental work. I agree – this is a brilliant book and well worth the money. The greatest and worst indeed. Sounds like a great read. Something we should never forget.